No one has a crystal ball that can tell you whether cash will outperform investments or vice versa, particularly over the longer term as there are so many variables, but there are some things that you need to consider that might help make the decision. A cash Junior ISA is just like a simple savings account except that no income tax will be payable on the interest earned. Contrary to popular belief, children can be liable for income tax just like adults, if they earn more than the current limit of £7,475 per annum. Of course, children generally would not earn anything like that amount, if anything at all. Interest on money given to children by their parents is taxable if it is greater than £100 in a single year (in which case the whole amount is taxable) and the rate is the same as the parent pays on his or her salary. Interest earned on money gifted to children by anyone other than a parent is not taxable unless it is great than the income tax entry limit currently standing at £7,475, provided it is a genuine gift. Irrespective of the amount or the source of the capital, interest earned on money deposited in a Junior Cash ISA is never taxable. Cash deposits with UK banks are protected up to the first £80,000 and this applies to Junior ISAs, so if the bank fails you still get your money back. If you have more one account with the same bank then the protection is £80,000 in total, not per account. An investment junior ISA is a riskier prospect than a cash junior ISA. It involves investing in the stock market. Generally, you will pay money in and the bank will decide where to invest it. Unlike a cash junior ISA, where your capital is safe and guaranteed to grow, you risk losing your capital by choosing an investment junior ISA. This is because share prices can go down as well as up and if the company your money is invested in goes bust you will lose your shares altogether. The risk is reduced by spreading your money over a range of investments but there is still a risk. It is perfectly acceptable for a child to have either a cash ISA or a stocks and shares ISA or indeed both, provided that the total investment does not exceed £3600 per year. For example a child could have a cash ISA in which £1,000 is invested in a particular year and a stocks and shares ISA in which £2,600 is invested is invested in the same year. On the positive side, investments tend to outperform cash over long periods so for a long term investment like a junior ISA you are likely to end up with a bigger pot by choosing an investment junior ISA. There are three basic ways in which you can make a profit from investments. First, if the share price rises you can sell the shares for more than you paid for them, second, when companies make a profit they may pay a dividend to shareholders and third, if the money is invested in corporate bonds, which are loans to businesses, you will be entitled to interest. The tax benefits of an investment ISA are generally less than for a cash ISA. When shares are sold at a profit, the tax that applies is Capital Gains Tax. Everyone is entitled to make a profit of 10,100 before paying CGT so even on a large investment of £100,000 a person can make a 10% profit without paying tax. Basic rate tax payers’ gain no tax advantage for dividend payments though higher tax payers do. If interest in received on corporate bonds then income tax payable so basic rate taxpayers do save on this income if investing via a junior investment ISA. As the Junior ISA is a new investment vehicle there is no direct historical data on which to draw, however there is no reason to believe that the investments will not perform the same as adult ISAs. Over a period of 5 years, an investment of £1,000 in a top performing stocks and shares ISA could grow by 200%. Over the same period a high interest cash ISA might grow by up to 25%. It is clear therefore that a stocks and shares ISA has much greater potential for growth. There is also much greater risk of course. The stock market does crash from time to time. Have your money in the wrong investments at the wrong time and you could lose everything. Cash may be less profitable but it is basically safe. It is probably a bad idea to put all of your child’s money into stocks and shares. Splitting it over cash and stocks may decrease the potential yield but it will ensure that some money is available for when your child reaches eighteen. 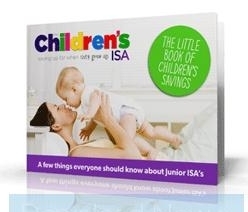 This entry was posted in Child ISA, Junior Cash ISA, Junior Stocks & Shares ISA. Bookmark the permalink.